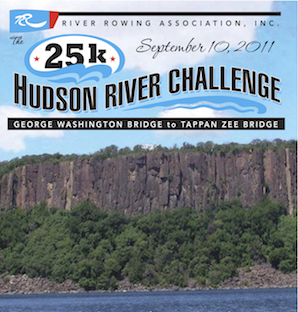 Hudson River Challenge is September 10.
open to all paddlers and rowers. Visit RegattaCentral.com to learn how to register. New York’s Hudson River, arguably one of the world’s most famous waterways, will be the setting this weekend when Super Boats International (SBI) pays homage to the victims of the 2001 World Trade Centre terrorist outrage. 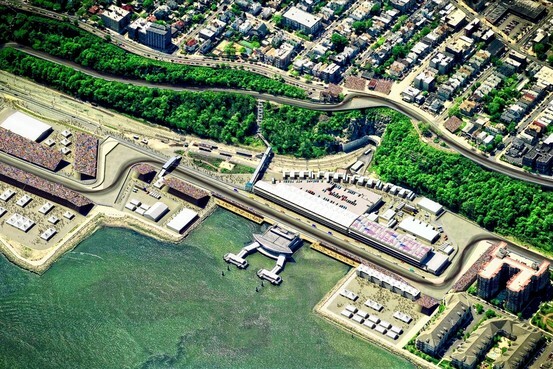 In effect, this will be the 21st New York Super Boat Grand Prix, set to be staged on the uncharacteristic Saturday (Sept. 10) because of the Sunday being a Memorial Day for those lost. Some teams has chosen to pay their tribute to 9/11 by displaying special decals on their boats. Competing teams have also been invited to attend post-race a special dedication named ‘Empty Sky Memorial’ in Liberty State Park that morning. For race fans, the Hudson River spectacle will see America’s fastest offshore race boats blasting past such sights as the towering skyscrapers of Manhattan and the famous Statue of Liberty. An astonishing 1 in 16 Americans reside in the Greater New York Metropolitan Area according to SBI. Boats and crews will begin arriving from Thursday (Sept 8) at the Liberty Landing Marina in New Jersey. Race fans can get up close and personal with the boats and their crews as they arrive and throughout Friday (Sept 9). There will only be one race, set for 0900hrs on the Saturday morning with boats scheduled to cover 17.75 miles (28.5kms) around a rectangular course slightly less than five miles (8kms). Race total will be 84 miles (135kms). 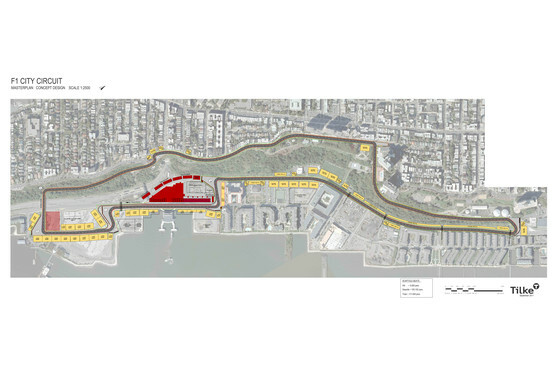 Spectators can follow the race from both the News York and New Jersey shorelines. SBI continues to expand its international flavour with Norway’s Tor Staubo, of Oslo, taking part for the first time in his 48’ (14.63-metre) MTI, ‘Team Gasse’. The series has previously inducted teams from Australia and the Ukraine into its fold, which will be contesting SBI’s renowned Key West World Championships in November. Tor Staubo said he was ‘very excited’ to be competing in his first US race. 'I have a great throttleman in Johnny Tomlinson and my new MTI raceboat was delivered last week,' he said. 'It’s handling beautifully and we have already hit 172mph (276km/hr) in the Lake of the Ozark Shootout sponsored by SBI,' he added. John Carbonell, President and Founder of SBI, said sponsoring an event such as the Lake of the Ozark Shootout and producing the New York Super Boat Grand Prix was very important. 'It goes without saying that we support the families affected by 9/11 together with the many volunteers we have, Coast Guard, law enforcement, rescue personnel and firefighters that support SBI throughout the year – we appreciate their help and could not do it without them,' he declared. In other SBI news, a powerboat racing legend has joined SBI’s Board of Governors, none other than Reggie Fountain, former Mercury Racing triple world champion and builder of the renowned Fountain Powerboats. Reggie recently established a new company, appropriately named ‘Real Fast Boats’ and has his two sons, Reggie III and Wyatt in with him providing service, repairs and new boats sales out of North Carolina. 'I am honoured to have John Carbonell invite me to join the Board of Governors and to again include me in offshore racing,' Reggie said. 'I have been involved with John for more than 25-years and to be around all these wonderful people and to meet new racers and teams is a great feeling,' he added. 'Super Boat International continues to grow and as we see many international teams entering this year’s Key West World Championships it’s important we focus on making this the best organisation for the competing teams.' He said. 'We have had some incredible years and a lot of history with Reggie Fountain and for him to come back and join us is most exciting. 'He has been very involved in our sport with his high performance boats and he is truly a fan of Super Boats International,' he added. Tickets available at the GPNY front desk. Don't forget to buy your Racer that special gift of speed! *Holiday event must include catered food and beverage to get the bonus track time. Team owner/throttleman Peter Meyer, with John Stanch on throttles, has piloted ‘Instigator' to victory on New York's Hudson River in the 20th running of the NY Super Boat Grand Prix. ‘Instigator' won its class, Superboat Vee Unlimited, what some no doubt termed an obvious results after Meyer last week declared the Hudson River course his number one favourite. Meyer and ‘Instigator' also clocked the highest speed on the day, averaging an excellent 101.84 mph (163.89 km/hr) for the 77.2 mile (124.3 km) race. Competitors also joined in commemorative services to remember the terrorist outrage now recalled as 9/11. There was some exciting racing in the hotly contested Superboat 750 Class with Jason Muller (driver) and Bill Mauff taking ‘WHM Motorports' home to the chequered flag, from ‘Talk ‘N Trash' (Jimmy Winters Jnr/Vincent Rifice) with ‘Warpaint', Robert Vesper and Daniel Crank aboard, coming home third. For Mauff and his driver Jason Muller, the race may well have looked a relatively simple task as they steered their boat towards victory, but for another team ‘easy' did not come into the context. Fortunately, Mike Stancombe is a quick thinker; he settled the boat down, grabbed a pipe wrench from the tool bag and secured it to the steering column. Believe it nor not, the make shift steering arm worked. Determination, ingenuity and perhaps being just a little bit crazy led Stancombe and his team to a deserving Super Cat Class victory. Superboat Vee Unlimited and multi-vee bottom champion Peter Meyer described racing alongside the towering New York skyline as 'unbelievable.' Racing in his hometown, Peter said no one could get a better start to the day than by commuting by boat to the race course. 'Hop on a cruiser, take in the scenery, pull up at the marina and jump into the race boat, it just doesn't get any better than that,' he said. Other teams that came away well pleased with their Hudson River performance included ‘US 1 Warpaint', ‘Loriblu Super Cat', its crew trialling a brand new MTI boat, and ‘Shed's Plus', another new boat for the season coming away with a well earned second place.